Randall W. Shinn, 60, of Springfield passed away on Friday, September 7, 2018 at his residence. Randall was born on November 11, 1957 in Jacksonville the son of James William and Betty Sturgeon Shinn. He married Jackie Shinn. He graduated from Winchester High School and retired from Clarksville, TN Housing Authority. 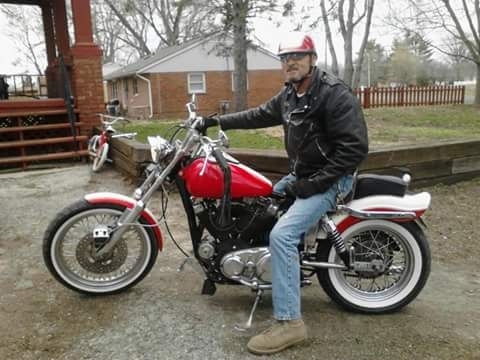 He enjoyed motorcycle riding, fishing, camping, four wheeling, mushroom hunting and working on old cars. He was preceded in death by his parents and one brother, Billie Dean Shinn. He is survived by his wife, Jackie; children, Carmen Towne of Roodhouse, Carrie Long of Springfield, Joshua Shinn of Roodhouse, Tracy Rawe of Carrollton, Ramsey Shinn of Carrollton, Miranda Merrill of Covington, KY, Kimberly King of Springfield, Derek Shinn of Covington, KY and Harley Shinn of Covington, KY; stepchildren, Parker and Tessa Osburn both of Springfield; sister, Sharon Shinn Bolander of Cumberland City, TN; brother, Daniel Shinn of Arenzville; multiple grandchildren, great-grandchildren, nieces, nephews and cousins. Cremation will be accorded. Celebration of life will be at a later date.